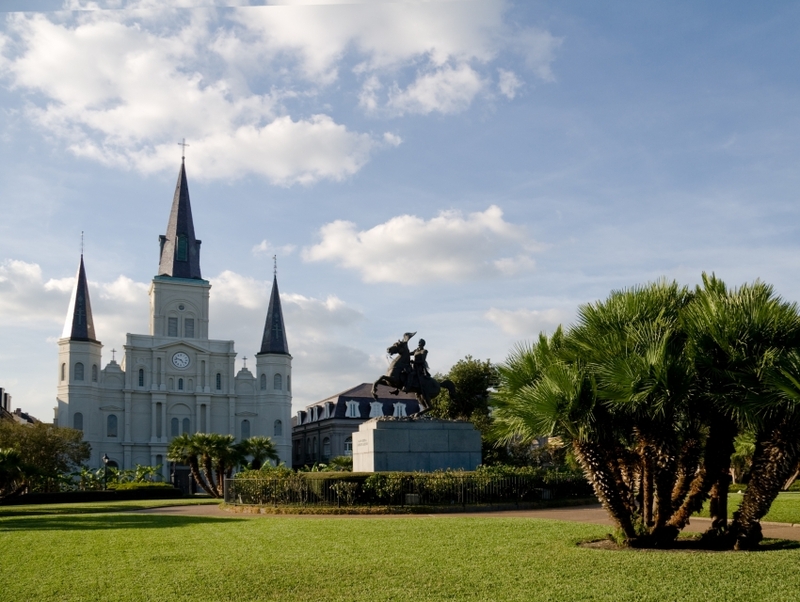 Idyllically laid within the ambit of New Orleans' famous French Quarter district, Jackson Square is steeped in a rich history associated with the epoch-making Louisiana Purchase. 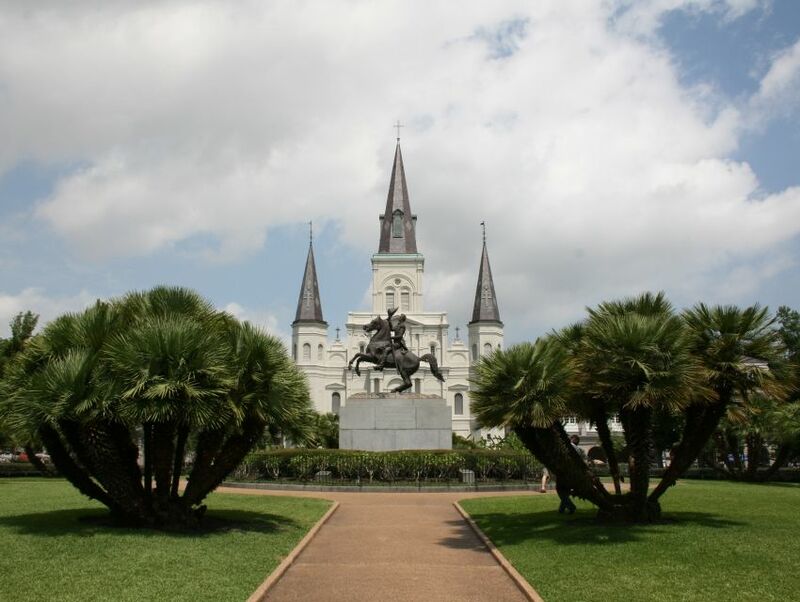 An arsenal of historic landmarks, including the three-steepled St. Louis Cathedral, The Cabildo and the Presbytere stand amid vast landscaped gardens, with the bronze statue of the heroic Andrew Jackson forming a compelling centerpiece. Although now buried under layers of history, the square harks back to a fascinating past, when it was originally known as the Place d'Armes. An erstwhile site for public executions, this square saw a dramatic shift at the turn of the twentieth century. At the height of the Roaring Twenties, this National Historic Landmark became widely known for its association with the arts, allowing artists to gather and participate in the exchange of ideas. Through the years, Jackson Square has been touched by fleeting, yet enduring associations with tarot-readers, jugglers, street artists, and paraders, echoing the very unbeatable ethos that New Orleans is known for today.